It didn’t go well at first. 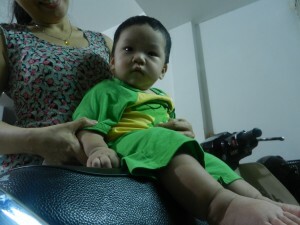 A taxi driver cheated me out of about $50 as soon as I set foot in Ho Chi Minh City. The only reason why it happened was my guard was completely down. The previous 4 months in China and SE Asia had been so great. Nobody tried to rip me off in the streets, and many people stopped and offered me rides for free. But Vietnam was a different bowl of fish. The people who checked me in at my hotel told me that Ho Chi Minh City is full of taxi rip off schemes and that I need to be on guard at all times against them and pickpockets. My intro to Vietnam was exactly what Nomadic Matt said in his website–he found Vietnam full of people trying to fleece tourists, and he had no desire to go back. But other people I met in Vietnam gave me such great experiences that I think he should change his name to Shallow Matt. The Vietnamese people gave me many stories to share. Here’s just one. The historic town of Hoi An is full of little temples. While passing one I noticed a crowd of people and a priest with a long white beard holding a service. I popped inside and snapped a few photos. On the way out, a young man invited me to sit with him at a table by the sidewalk. He told me that they were holding a funeral for his uncle and that everyone inside was a family member. I felt like a heel with a 6 foot strip of toilet paper stuck to it for taking pictures of them, but nobody showed any signs of being offended. But they all appeared sad, now that I looked at them more closely. 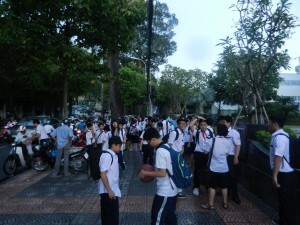 I’ll respect their privacy and show you some nice people in Ho Chi Minh City, who represent its future. The man in Hoi An poured me some tea. Several people soon joined us. 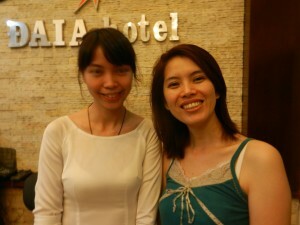 Many years ago I had read that weddings and funerals are huge events in Vietnam. Large groups of family and friends come together and share these transitional moments. 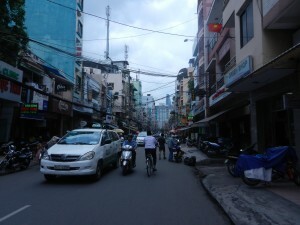 Life in Vietnam is about being surrounded by other people. Inviting many guests to a funeral does have animistic purposes–in traditional Vietnam, a sloppily conducted funeral can make a spirit unsatisfied, and it can hang around and haunt the living. It also has political effects–it shows that the departed was important in life. So to cheer up my host, I said, “It looks like your uncle was highly respected.” But what happened next made me feel that I was invited for personal rather than political reasons. So I went in and kneeled in front of the altar. The priest gave me 3 incense sticks and I bowed 3 times while holding them in both hands (standard procedure in SE Asian and Chinese temples). I placed $1 on a metal tray, put the palms of my hands together and looked into the eyes of every one of the 7 or 8 people in the room. Everyone’s face lit up, including the priest’s. I had read that people in Vietnam don’t have much concept of personal space. But I was still impressed that this family let me right into their hearts–I had just come off the street. It felt so good to repay them during a difficult time. But sharing intimate moments with lots of people is the Vietnamese way. History has taught the Vietnamese that there’s safety and fun in numbers. Yeah, more people tried to get me into unregistered taxi’s and onto motorbikes, and the many unsolicited sales touts were annoying. But many people in Vietnam need more money–the government’s corruption stinks like rotten fish. But at the same time, many folks were quick to bring me into their personal lives. The human interactions in Vietnam were more direct and intense than in Thailand, where most people are usually more reserved. 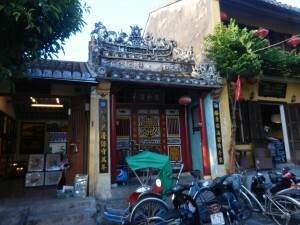 Being direct, taking initiatives and loving business are Vietnamese traits which probably go back to the ancient Dong-Son culture. The country showed me an unusual amount of human drama which got me hooked on its culture. I’ll be back long before I return to Nomadic Matt’s site. The 2 people in the above photo gave me even more incentive to return! This was the last pic I took on this trip in SE Asia, and they were seeing me off to the airport. Thanks for the hospitality! Please share your Nam stories if you got ’em. i love traveling my fav caepruts while traveling are portraits n crowded places.. nice portrait..the pictures conveys that Vietnam is a calm place wit nt much rush around..i really wish to see the market place of Vietnam..the long exposure of the old building is vry attractive n unique..thanx a lot for sharing this..its really intersting..